Where is Billy Dunavant when we need him? Cotton prices have taken nearly a 10-cent nose dive – 1,000 points – in the past three months. In the face of this, world ending stocks have decreased and world consumption has increased. Too, expect stocks to further decline. Yet, U.S. export sales have stumbled, and record forward sales are history as new sales appear to be dying on the vine. We can trace it back to the tariff. Worse still, it appears that December could slip to a low near 74 cents. Cotton’s legend, Mr. Dunavant, always had the ability to sit down with anyone involved in the cotton industry and sooth concerns while, at the same time, promoting the U.S. cotton industry. 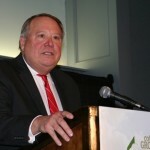 The long-term success of the cotton grower was important to him. Most likely, he would sit with the U.S. and Chinese leadership to find the solution together. The World of Cotton was that important to him personally. Anyway, he has already caught most of the trout in Montana. His bold leadership, always cordial and personal, is needed. Gosh, just think where that situation would be if both he and Congressman Stenholm were leading cotton’s path. Cotton prices, for the second time in two months, have broken below the trading range. The first support point to fall was near 81 cents. The second was near 79 cents. Now, the market is trading with the idea of slipping down to 74 cents. Yet, I continue to strongly support the tariff enactment and, without question, strongly suggest it will work magic for the U.S. cotton grower. Without initially mentioning the possibility of a price decline, I and other cotton analysts had predicted, argued and debated the extended benefits the tariff would afford the cotton industry. We expected China to initially limit U.S. cotton imports just exactly as it has. We expected China to substitute other growths in place of U.S. imports, just as it has. What we did not expect to see was for U.S. sales to other countries to initially dry up. They have, but sales will return with increasing consumption and declining world stocks. The non-U.S. cotton that is being moved to China will have to be replaced by U.S. cotton. The U.S. will regain its share, as merchants have become extremely competitive. The net impact on world trade will be zero. 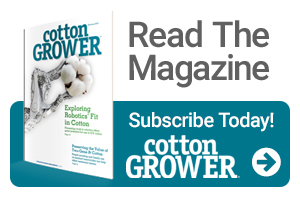 Thus, the non-China world will take the cotton the U.S. has traditionally sold to China. Again, world trade will not change, but rather the cotton flow from country to country. Actually, this is exactly what was expected and what is occurring in the very short run. The need for U.S. cotton is evident. However, the immediate need for U.S. cotton is not there. It will come in the near term, but not until the 2018 northern hemisphere crop is better determined. U.S. export sales will, once again, become very strong. In the meantime, net upland export sales for the current week were only 70,300 RB. Sales to China were 7,900 RB. China reportedly noted big sales from Brazil and Australia. Mills were aggressive with price fixing on the week, as on-call sales were reduced by 5,341 contracts. Aggressive price fixing will likely continue. On the positive side, the market should expect the December contract to gain on the March once the October contract is off the board. Certificated stocks are expected to rise as both the Mid-South and Southwest yields are improving. With a near 20-cent loss off the market highs, the market is prime for a slight rally. But we may have to first fight off a 74-cent low.